Size: 2” x 2” (5.08 cm x 5.08 cm). 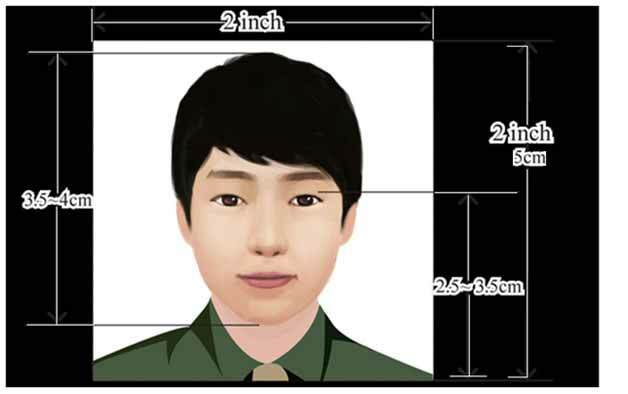 Photo Size of Face 3.5cm ~ 4.0cm. Position of Eye : 2.5cm~3.5cm. Standard Measurements –2 inch X 2 inch. Photo should present Full face, front view, eyes open . Background should be white background without borders.